Honey Cashew Shrimp is a seafood recipe that comes together quickly for an easy dinner. Pan-fried shrimp covered in a tangy lemon and honey glaze, with candied cashews on top. Asian takeout isn’t necessary when you can make restaurant-quality food at home, for a lot less money! For some reason, making Asian meals like PF Chang’s Crispy Honey Shrimp or their Mongolian Beef is more enjoyable at home than when dining out. 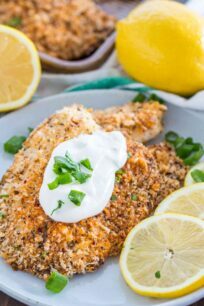 The same goes for this recipe, it’s such an easy meal to make at home, we can’t find a good reason to pack up the family and head out for the meal. This recipe can be easily done with other types of nuts, like walnuts or pecans. Honey Cashew Shrimp is one of our favorite shrimp recipes. Personally, we are huge fans of the sweet and savory combo. This meal is also irresistible, because of all the great and different texture going on. 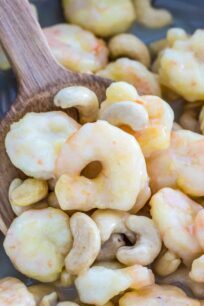 The shrimp is plump and tender, the sauce is creamy, while the cashews and chewy and crunchy. The Cashew Shrimp is one of the best Asian recipes you can make, its great served over rice with some steamed veggies on the side. This Asian dish is a success with kids as well, thanks to it sweet taste. Where did Honey Cashew Shrimp originate? Although it’s primarily served in the United States, this shrimp dinner originates from Hong Kong. It is widely popular on the west coast, primarily in the San Francisco area, where fresh shrimp is plentiful. This dish has also made its way into the popular Asian restaurant franchise, Panda Express. One thing is for certain; after you make this sweet and savory dish at home, you will never want to pay restaurant prices for it again! How do you make crispy cashew shrimp? The key to making crispy shrimp is to coat them in batter and deep fry them. In our recipe, we use a batter of egg and cornstarch. This allows the shrimp to be crispy and golden brown, without the texture being too heavy or bready. After frying, the shrimp are tossed in a tangy, creamy lemon-honey sauce. The dish is made complete with a topping of candied nuts, in this case cashews, adding another layer of flavor and crunch. How do you reheat honey cashew shrimp? The best way to reheat fried shrimp is under a broiler. The high oven heat allows the breading to crisp up while assuring that the shrimp won’t become overcooked. Another option for reheating breaded shrimp is to place them on a broiler pan and heat them in a 350 degree Fahrenheit oven for 10-15 minutes. However, if you already coated them in sauce, you can just reheat it in the microwave. We like to serve the shrimp on a bed of either white rice or rice noodles Other great sides could be egg rolls, vegetable spring rolls, or fried rice. 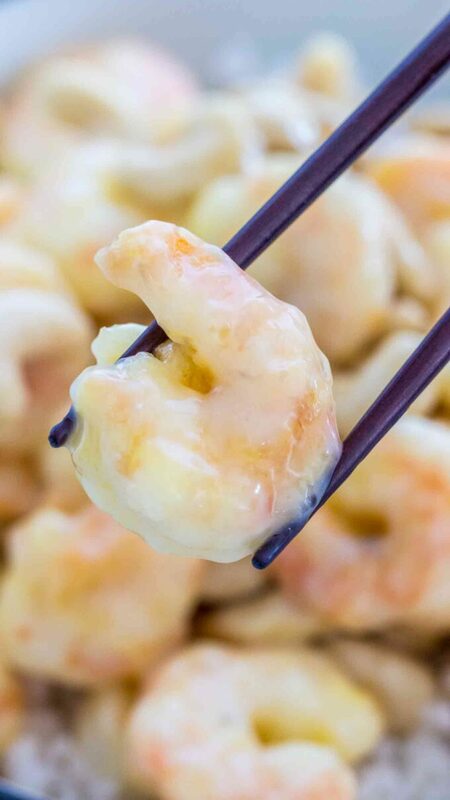 Can you freeze Honey Cashew Shrimp? 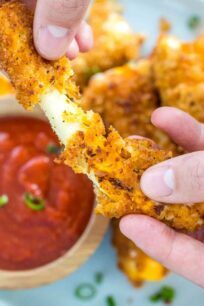 We do not recommend freezing this recipe, once thawed the breading from the shrimp will fall apart. The sauce will also become more watery. If you wish to freeze this recipe, we recommend skipping the breading part and just brown the shrimp, before coating in the sauce. Equally important, its to let the shrimp fully cool before freezing. Just add the mixture to freezer bags or to an airtight container and freeze for up to 3 months. 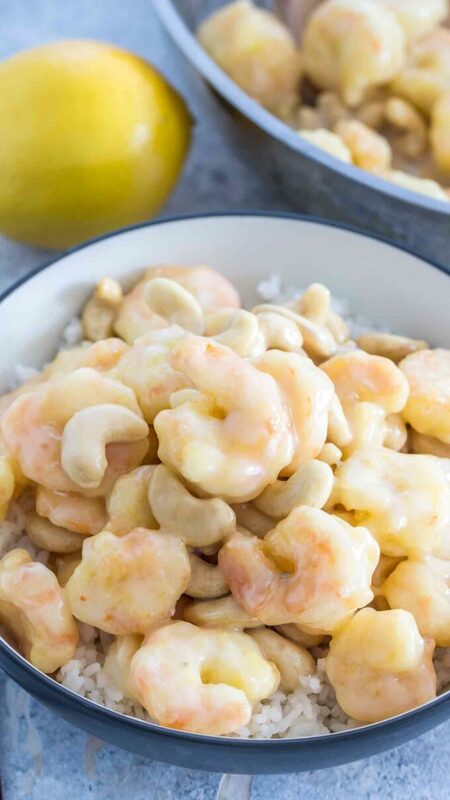 Honey Cashew Shrimp is a seafood recipe that comes together quickly for an easy dinner. Pan-fried shrimp covered in a honey glaze, with candied cashews. Heat 1/4 cup water in a small saucepan over medium heat and bring to a boil. Add sugar and stir, constantly, until golden and thickened. Add nuts and gently toss to combine. Transfer to a parchment paper-lined plate. Set aside to cool. In a small bowl, whisk together mayonnaise, lemon juice, honey and condensed milk; set aside. Pat dry shrimp with paper towels. Season shrimp with salt and pepper, to taste. Working one at a time, dip the shrimp into the beaten egg, then dredge in the cornstarch, pressing to coat. Set aside on a paper towel lined plate. Working in batches, add the shrimp to the skillet, 8-10 at a time, and fry until evenly golden-brown and crispy, about 1-2 minutes on each side. Transfer to a paper towel-lined plate. 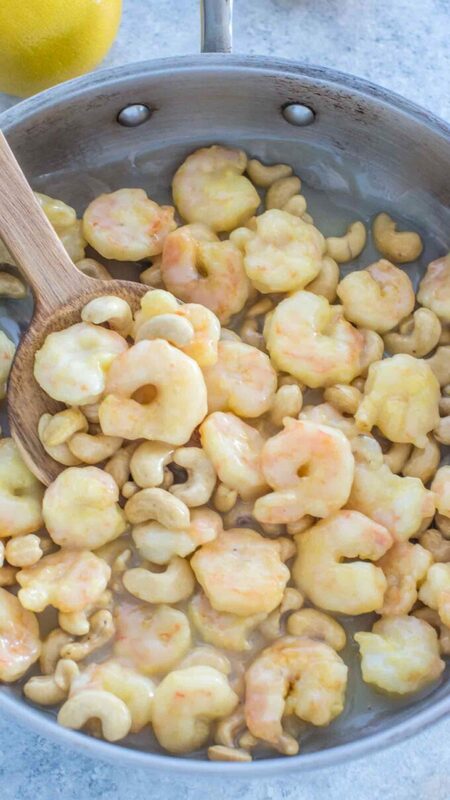 In a large bowl, combine shrimp, candied cashews and creamy honey sauce. Love it ! Why order out when u can make your favorites at home ! Thanks for sharing this recipe ! I am always looking for new recipes with shrimp! This looks perfect! I love cashew chicken, but have never subbed out shrimp! Cant wait to try it! 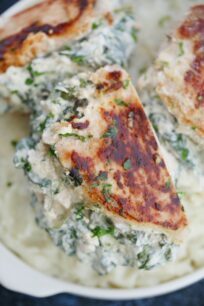 I love the combo of sweet and salty and want to make this for dinner this week!! Looks so good! I love sweet and salty, so this is perfect for me! This needs to happen at my house very soon!! This looks incredibly delicious!